It gives us great pleasure to announce that the winner of Employee of the Month for September is Trevor Evans. 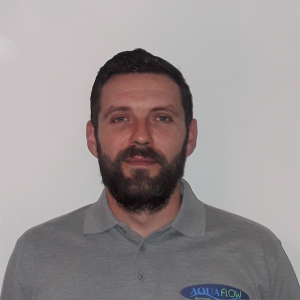 Trevor is a pleasure to work with and a very capable, polite and professional engineer who we hope will be with Aquaflow for a very long time. He seems to be going from strength to strength since his arrival, has a very good attitude towards clients, is always willing to help with an extra job on the way home and seems to be taking note of good practice from other engineers. Nothing seems to be an issue for Trevor and he is proving to be a great asset to the company. Congratulations, Trevor. Keep up the good work.